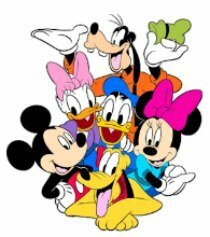 Real Disneyland vacation tips, hotel reviews, ride reviews and more from a real family that always has a really good time! Hello and welcome to our little piece of the "Happiest Place on Earth". We've been fortunate to build a lifetime of memories thanks to Disney and we wanted a way to not only share our experiences, but for others to share theirs as well. That's where My Disneyland Vacation.com comes in... We'll share our adventures, tips and tricks to a great trip, hotel reviews, ride reviews, great restaurants, downtown Disney and much, much more. Allow us to introduce ourselves... There's Justin (dad), Jenette (mom), Jonas (big brother, 7), Caitlyn (daddy's little girl, 4) and Lilya (on her way to 1 and daddy's little, little girl). As a family we may not agree on everything all the time, but if there is one thing we all have in common it's that we all love our Disneyland trips. We don't want to be the only ones sharing and we would love to hear all about your Disneyland vacation(s), whether you're planning one or just had one. How did you like this, that or the other? Did you go to one of the Disney Parks in California, in Florida, one of their theme parks around the world, or even a Disney cruise? Or simply a little about what Disney means to you and your family? It's fun, free and easy to share! There is no registration required and of course, you can add pictures (up to 4 per story). Can't wait to hear from you! Let's get started with some quick Disneyland tips! Plan your Disney vacation during non peak times. We've found the fall and winter to be the absolute best times for great deals and the smallest crowds. One thing to watch for (we learned the hard way) are closed attractions. Many big rides were closed on our most recent trip in mid September...We missed the Toy Story ride...Boo-Hoo! Going on a weekday vs. a weekend could mean the difference between going on 20+ rides vs. 5-8 rides. Be familiar with the layout of the park and have an itinerary planned out. There's a lot to do and you may get a little side tracked, so allow for some flexibility in your schedule. We went on the Buzz Lightyear ride 5 times in row (Justin couldn't get enough), which threw a small wrench in our schedule, but it was well worth it! It's a really fun ride. Use a permanent marker to write mom or dad's name and cell phone number on their arm. In addition, show them how to identify Disney staff in case you get separated. That's just a few of many tips that will help you have a more enjoyable and safe trip. For even more take a look at our other Disneyland tips. My Disneyland Vacation Blog - All Disney all the time! Disneyland tips, tricks, stories and reviews. Disneyland Tips and Secrets - Go prepared and save money, time and headaches. 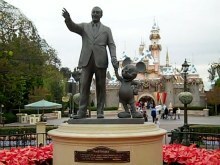 Disneyland vacation tips for a hassle free, fun trip.. There are lots of hotels near Disneyland, but the Disney resorts are top notch. Review of the Grand Californian, Paradise Pier and the Disneyland Hotel. Would you like to share your knowledge about disneyland? Great, find out how you can submit your story or tip here.